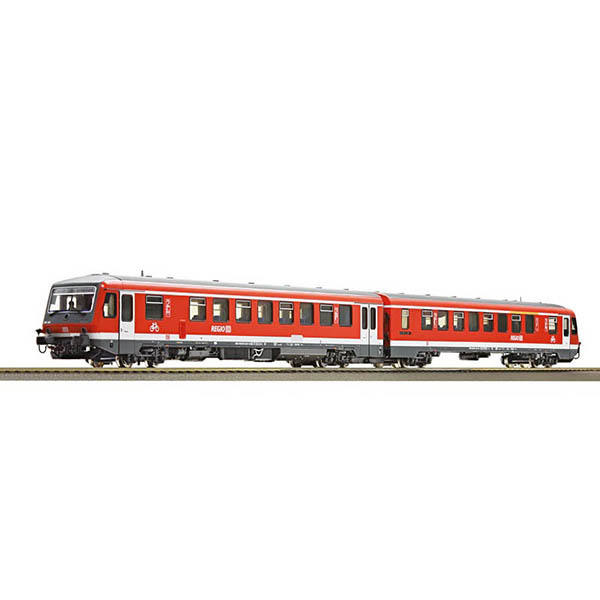 Model Description: Diesel railcar class 628.4 of the Deutsche Bahn AG. Model in traffic red livery Epoch VI. Mold variant of the 628.4 that features all modifications from the original model. Railcar that features delicately applied parts. Motor with flywheel. White/red LED headlights that change with the direction of travel. Interior lighting can be switched via DIP switch. Interface PluX22 for the adaptation of a digital decoder. Coupler pocket according to NEM 362 standards with close coupling mechanism.